If you are looking to invest in gold, then buying gold coins and bars is the best option, especially for Indians. It is no secret that gold has been the favourite metal for Indians since centuries. Not only in India but gold is popular in other countries as well. Indians love buying gold. In fact, in the Hindu culture, a day exists, Dhanteras, which is dedicated to buying precious metals. Any Indian festival is not complete without either buying gold or exchanging it among relatives and friends. 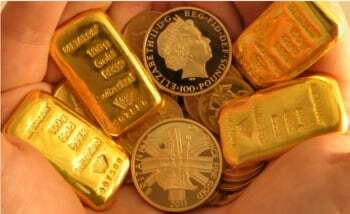 Most people buy jewellery but if you are looking to invest in it, then buying gold coins and bars makes more sense. There are many advantages to buying gold coins and bars. The main reason is that gold has always remained popular in India. It is available easily and accepted everywhere. The common man has access to it and can choose from various types and designs too. Even the market for gold remains comparatively stable. Of course, there are ups and downs in gold prices but nothing drastic has happened in a long time. Gold coins and bars are a liquid investment. They can be liquefied easily. Since they are accepted everywhere, when the market is down, you can easily sell your gold coins and bars to get immediate cash. This is one of the most advantageous qualities. You can avoid losses and hold on to all your coins and bars when the prices are down. You can even add gold investments for an assorted portfolio. It provides you with different investment options and also protects you against inflation. You choose when to buy or sell, depending on the gold prices. Gold coins and bars do not incur any extra charges. A piece of jewellery incurs labour costs for making the accessory. With gold coins or bars, you pay only for the bar and you do not even have to wait for it to be manufactured. Gold coins and bars are very common and in stock most of the time. The purity is higher in gold coins and bars when compared to jewellery. Jewellery pieces are mixed with alloys to make them stronger. With coins and bars, there is a marginal amount of filler metal and you can get bars with a purity of up to 99.99%. The addition of alloys or gemstones to the jewellery adds to its weight and you pay for the entire weight. With bars, however, the weight consists of the pure metal. Hence, you get a better price for gold coins and bars.